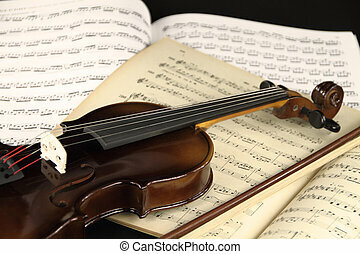 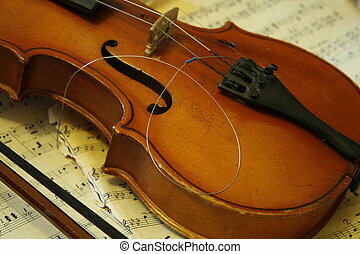 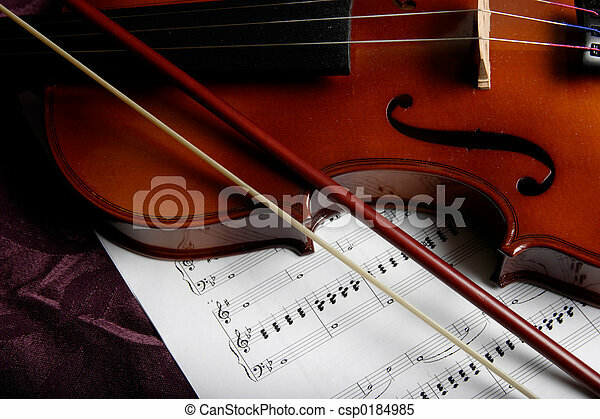 Close up of a violin on top of sheet music. 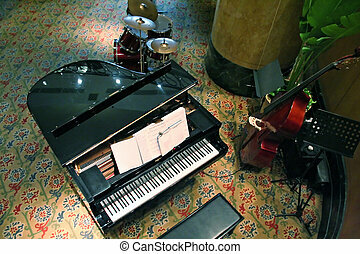 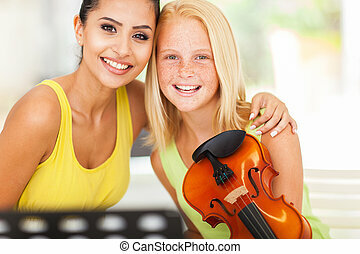 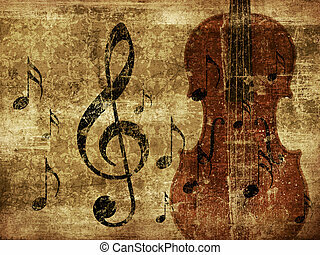 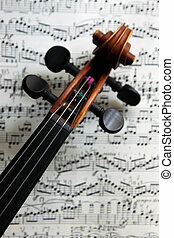 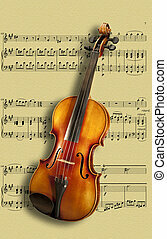 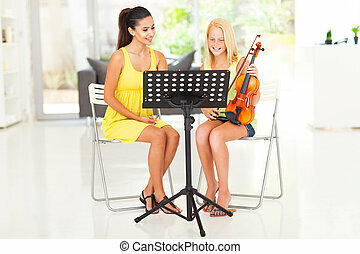 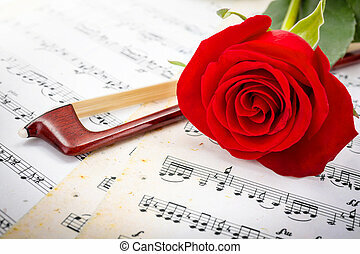 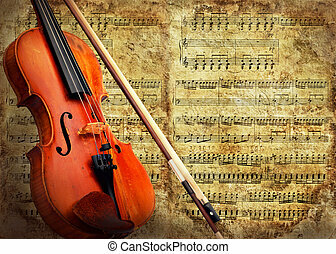 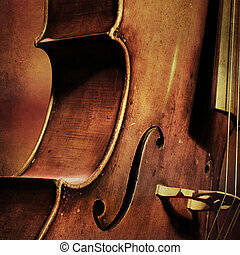 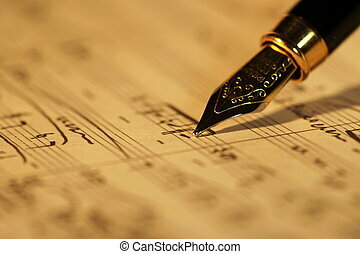 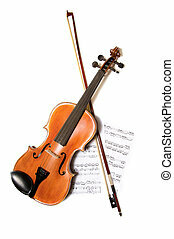 Illustration of grunge retro musical background with music notes and violin. 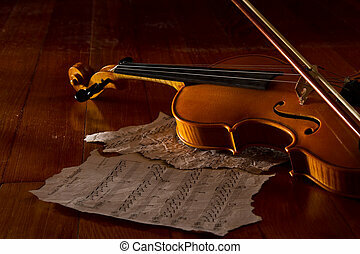 The scroll of an old Italian violin on sheet music.